My friend Emily is exactly the opposite of what you might think when you see her. Her hair is notoriously big, in a way that rivals Monica’s in that episode of Friends where they all go down to Barbados. Her features are like fashion statements; they demand attention in a way that makes you unable to pick just which part of her face to look at. She flails her arms around in the air when she talks, and her eyes light up when she’s got something especially good to say. She’s your typical Greek: enviously olive skin, deep and mysterious eyes and lips that never require lipstick. I first met Emily in elementary school. I was intimidated by her at first; her exquisitely long dark hair and boisterous laugh led me to believe she was someone I would never get along with: the type of person who knows they’re beautiful and makes sure everyone around her knows it. But the thing about Emily is how incredibly humble she is. And even then, in all our pre-pubescent self-assuredness, she and I were able to connect in a way that only truly shy people can. We both had fantastically imaginative minds, and would dream up elaborate plots for our Barbie dolls and act them out in the even more elaborate sets we had made for them. We rarely said a word in public on our own, but when the two of us got together, it was impossible to get a word in edgewise. When we got a little older, we shared our first crushes and swapped fairy-tales of our perfect first dates with our perfect first boyfriends. We drooled over Aaron Carter music videos and fought over who he would pick if he ever found himself in the area and in need of a girlfriend. Our imaginations kept us going through the hormonally turbulent years of middle school. We were both terribly insecure, and preferred to live in a world only our minds knew, a world where we were flawlessly beautiful and innocently sweet. But that world didn’t exist, and eventually we drifted apart. I started dating and she started hanging around different people. We would say hello when we passed each other in the hallways at school, and it was painful, knowing how close we used to be. But then something happened. We started talking again, and I went over to her house for the first time in what felt like forever, but had really only been a few years. It felt so comfortable being around her again, like I had finally found myself, and for once I liked who I had found. But as soon as we had started connecting again, graduation came, and we went our separate ways. We would send the occasional e-mail back and forth; I told her I had found my calling in journalism and she shared her plans to join the volunteer fire department in her university town. With every e-mail, phone call and visit, we got closer to being those two little girls again, laughing and crying together over life’s confusing path. When we talk now, it’s like nothing ever happened, as if we were best friends this entire time. I couldn’t help but think of Emily while cooking up this dish. She loves food more than most people I know, and she also has a soft spot for anything Greek, so this meal seemed to fit her just right. Place colander lined with paper towel or cheesecloth over top of large mixing bowl to drain excess liquid from yogurt. Place in refrigerator for two hours. 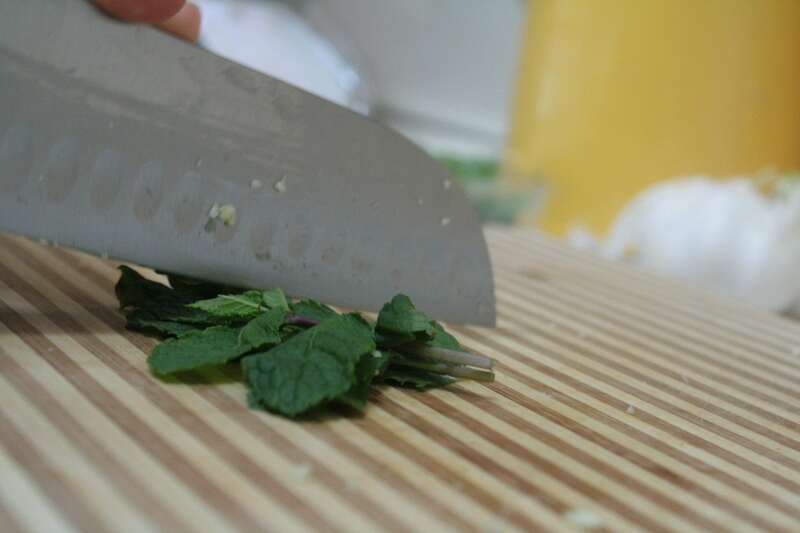 Chop garlic and mint finely. Once yogurt is chilled and drained, mix in garlic, mint, olive oil and salt. Peel and chop cucumber and add to mixture. Cut chicken into 1-inch cubes. Grate lemon rind and squeeze lemon to extract juice. In large bowl, coat chicken, lemon rind, lemon juice, oil, oregano, salt and pepper. Marinate for 10 minutes. Thread chicken onto metal skewers. Broil on foil-lined baking sheet for 10 minutes, turning once. Cut cucumber in half lengthwise and slice into thin pieces. 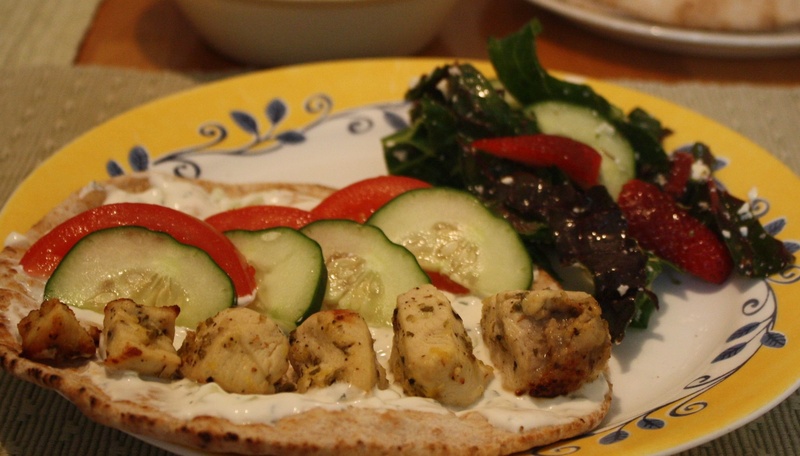 Spread tzatziki on half of each pita. 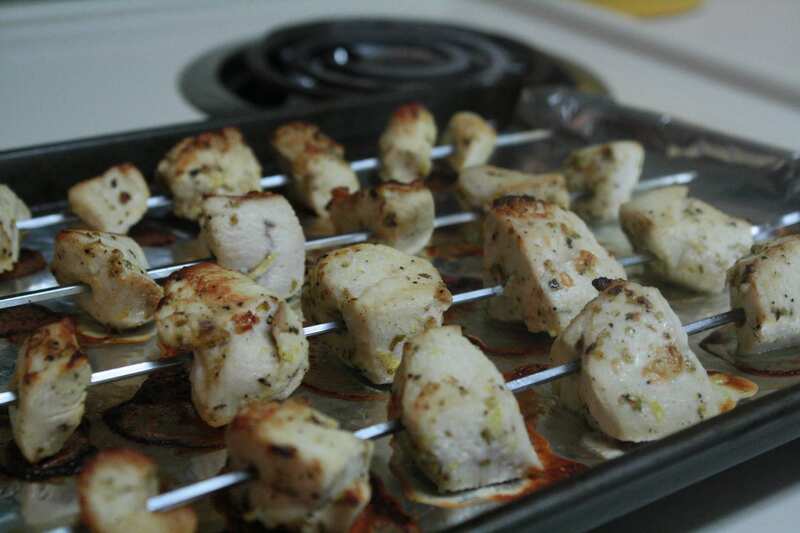 Remove chicken from skewers and add to pita. Top with tomato, cucumber and lettuce. Serve with side salad and loads of feta cheese. Gilean, this is incredibly sweet : ) I love the description of Emily – you got it down perfect. : ) I love this. You, Madam, mean the world to me. Thank you so much for including me in something that means so much to you. Also, this looks amazing, and you have made me a very hungry girl….